Three owl babies wake up in their nest to find that their owl mother is gone. “I want my mummy” cries little Bill. The owl babies do their best to comfort each other while waiting for their mother to return. When she finally returns, the baby owls bounce up and down, welcoming her with joy. 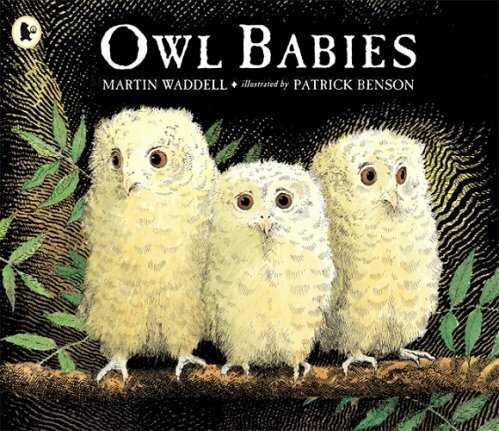 Owl Babies is a delightful story celebrating the bond between mothers and their children. It has a lovely reassuring message that mummy will always come back. So it can be used to ease the separation anxiety young children experience when going to school for the first time. Regarding language targets, there are many uses of the conjunction ‘and’ and regular past tense verbs throughout. The story also has a clear initiating event, problem and subsequent resolution. For further speech and language targets in Owl Babies, see the list below.